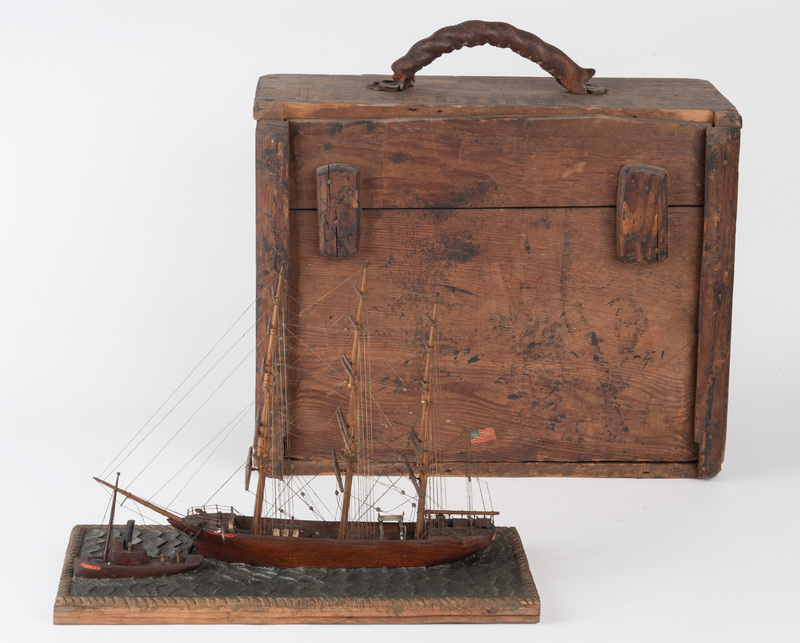 True American Folk Art: a sailor-made, scratch-built diorama depicting the the ship Golden Eagle being towed by the pilot-tug, Hawk, probably into New York harbour, presented on a carved wood sea with a rope-carved edging and within a box for concentrated lye, the product of 'B.T. 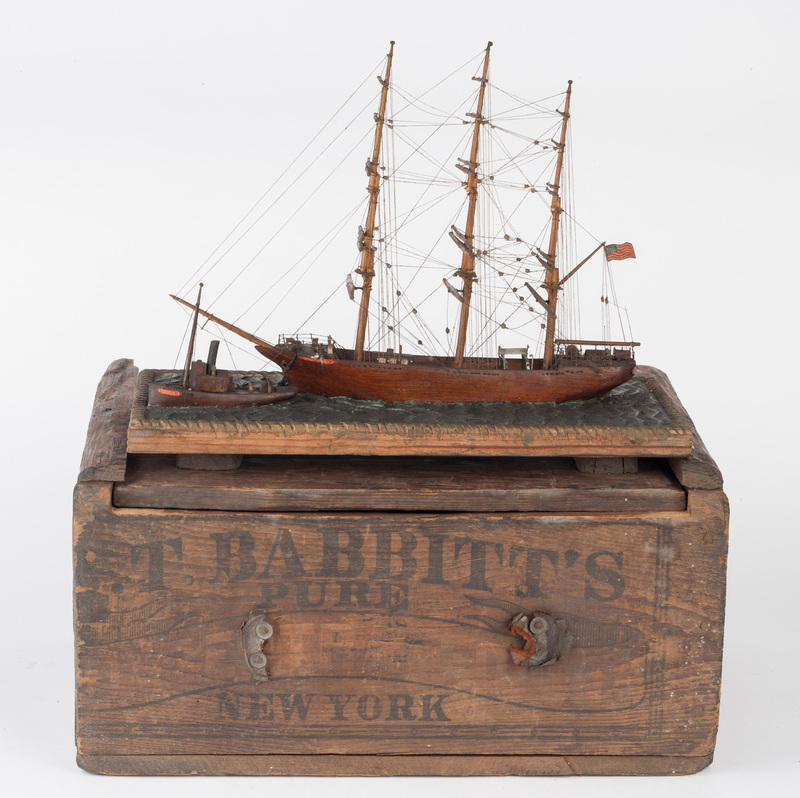 Babbits, Washington Street, New York'. 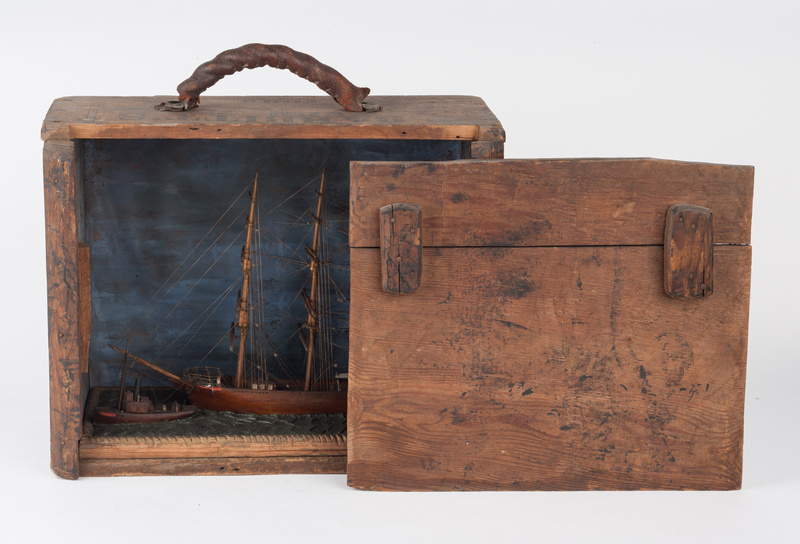 The channel through The Narrows into New York harbour was complex and sometimes shallow and, from as early as 1694, New York required all ships to be guided into the harbour by an experienced pilot. A U.S. Ship Golden Eagle, an 'extreme clipper', was built at Medford, Masssachusetts by Hayden & Cudworth and launched in 1852. The leather-covered hemp handle present but detached.